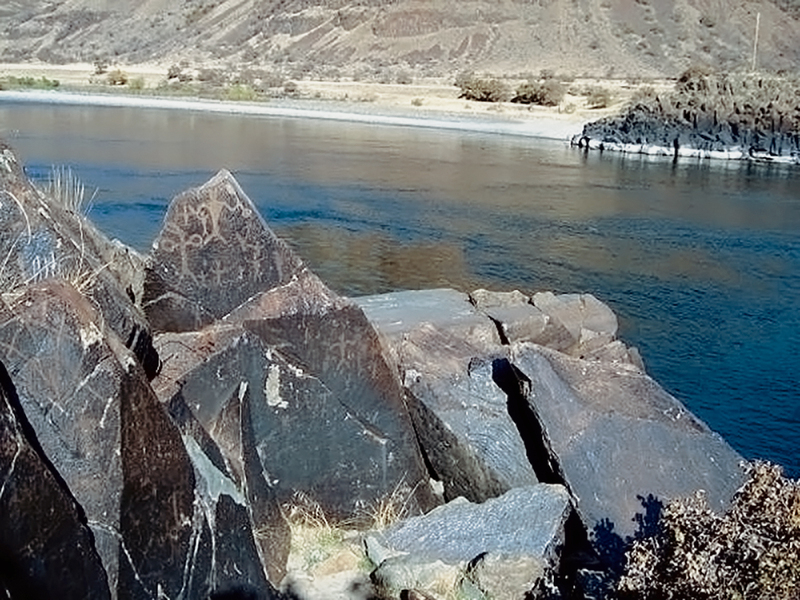 The Columbia River drainage encompasses most of the Territory. 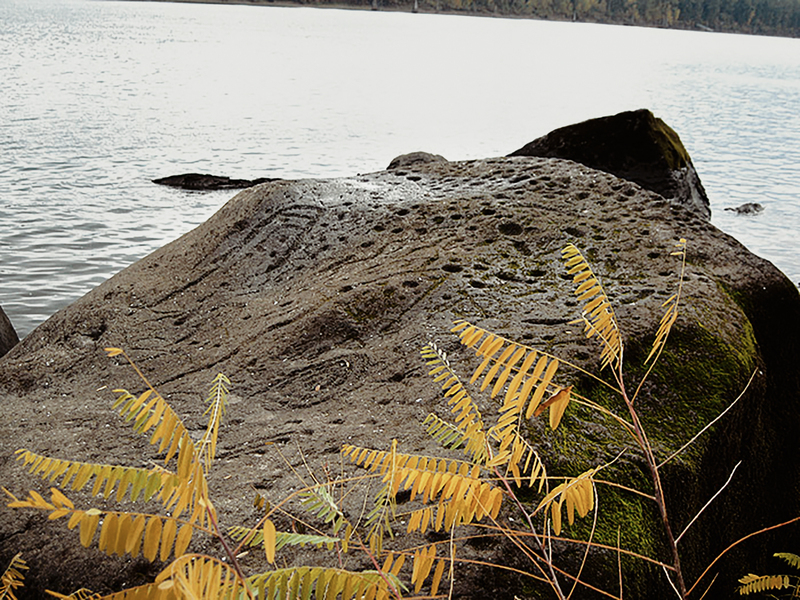 The major course of the river originates in Canada and flows southernly through the state of Washington and then turns westward to form most of the border with Oregon before emptying into the Pacific. 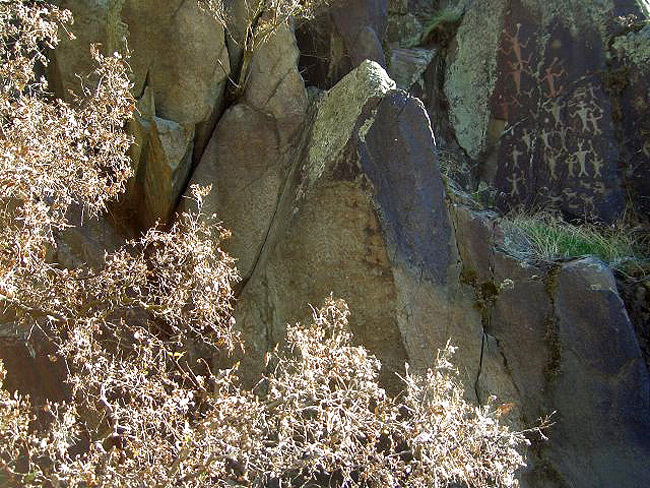 Many major and minor tributaries flow into it along the way. 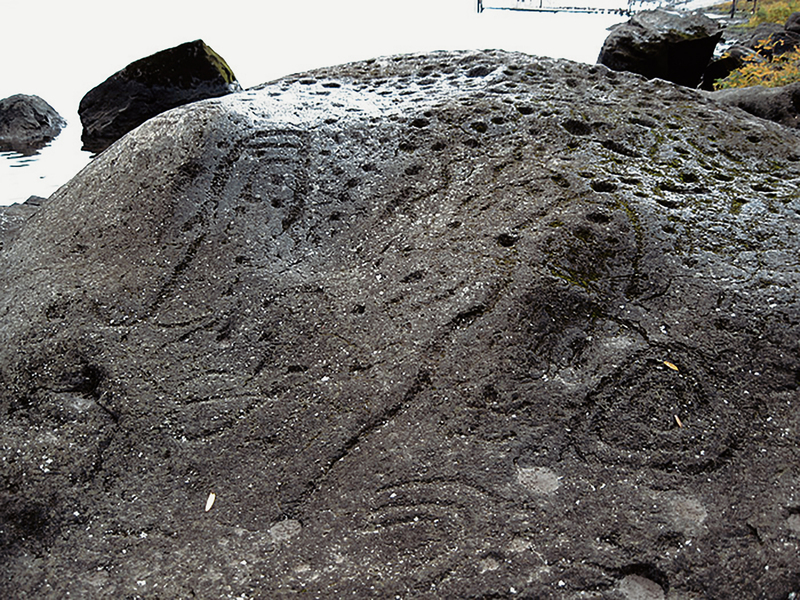 Chief among these are the Spokane, Snake, John Day, Deschutes and Willamette. 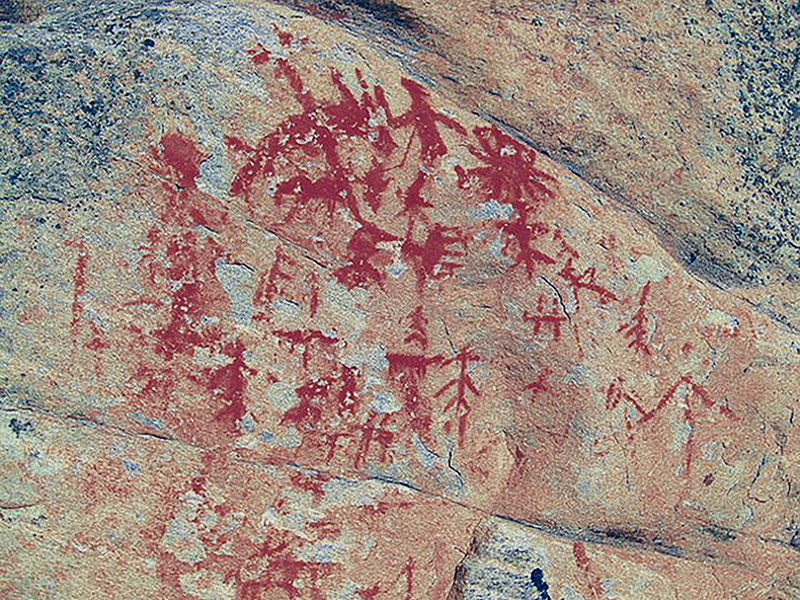 Rock art sites are abundant throughout this drainage, not only near the banks of these waterways, but frequently in the plateau and mountain areas that abut them. 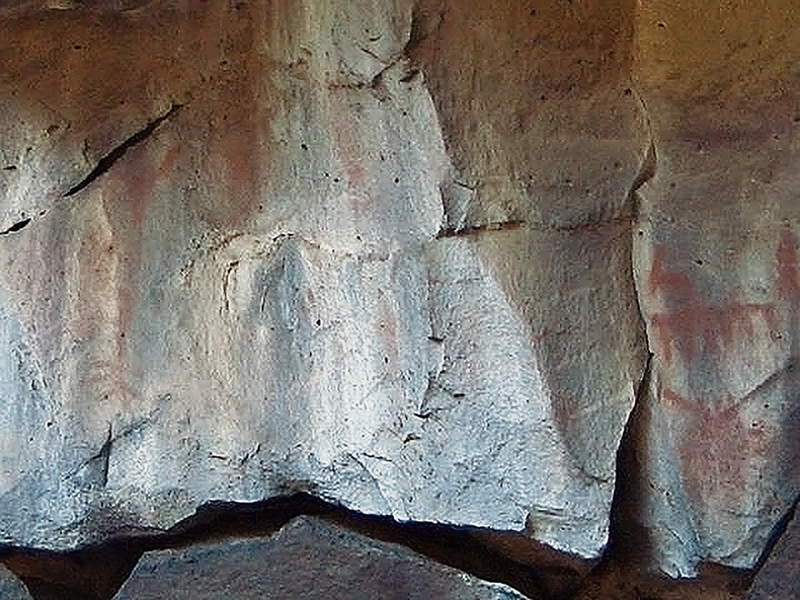 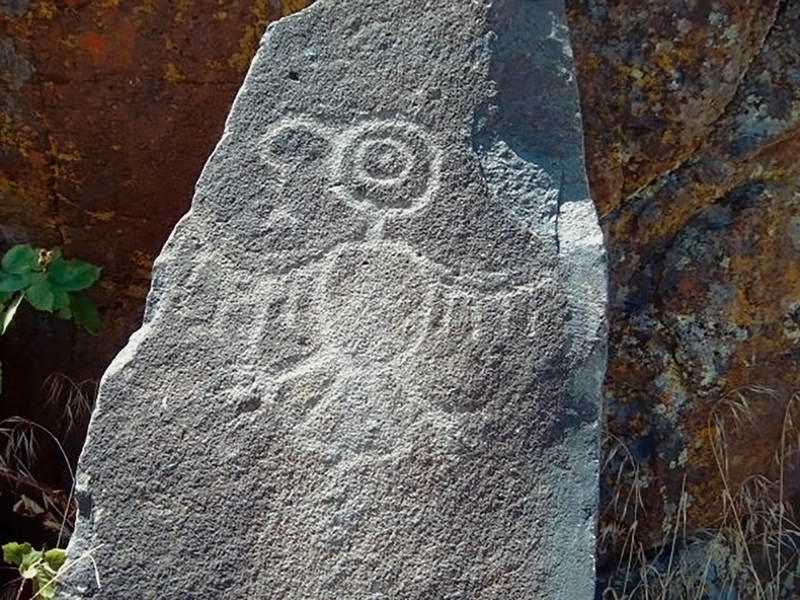 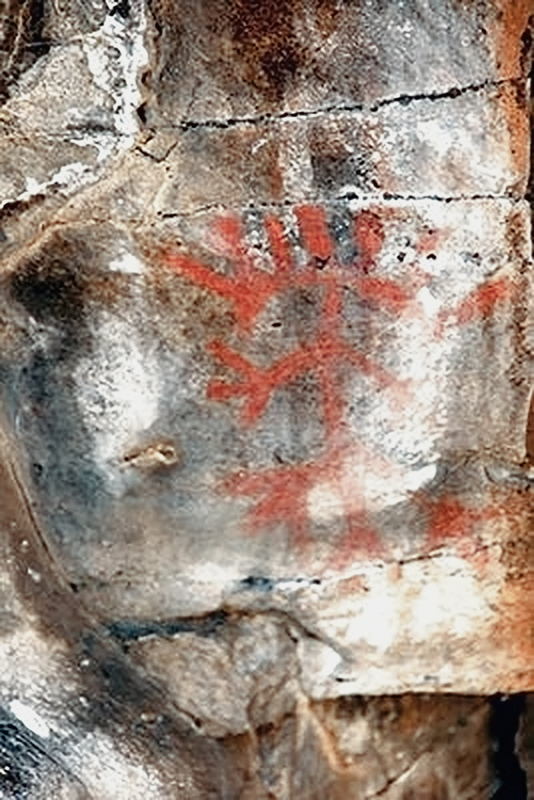 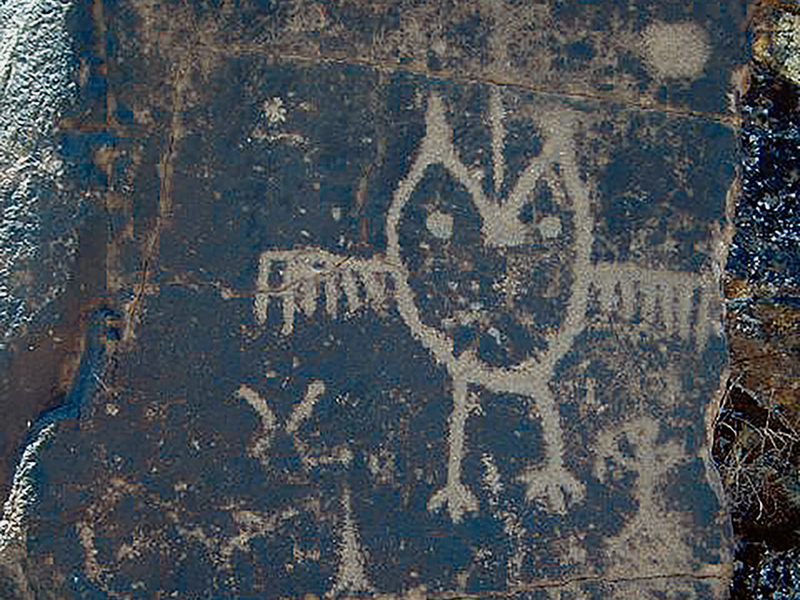 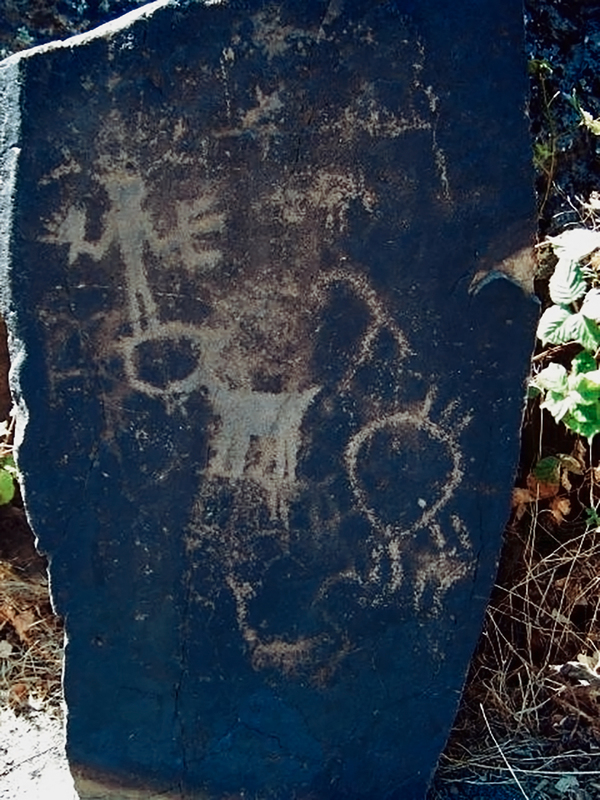 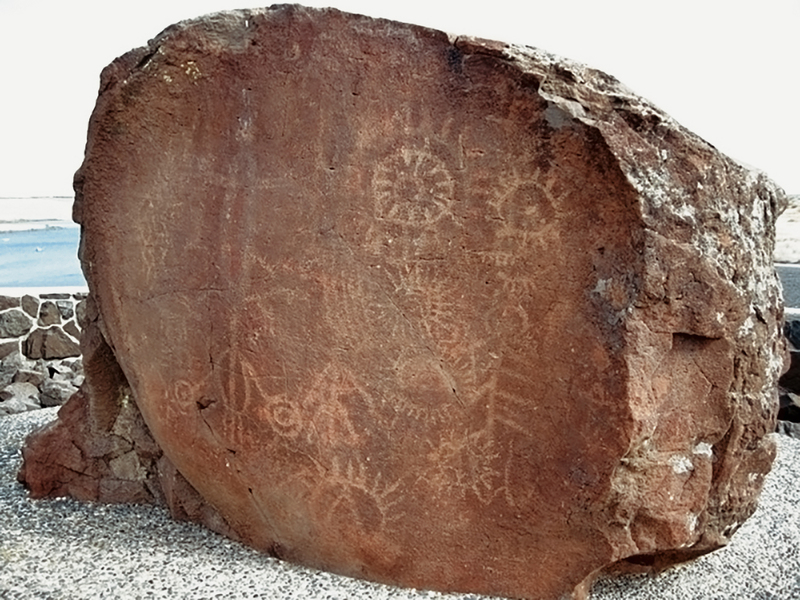 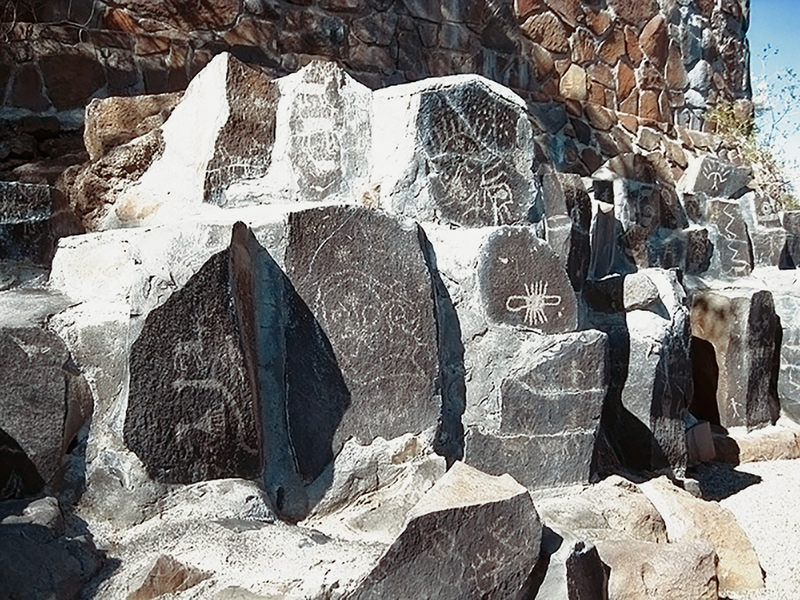 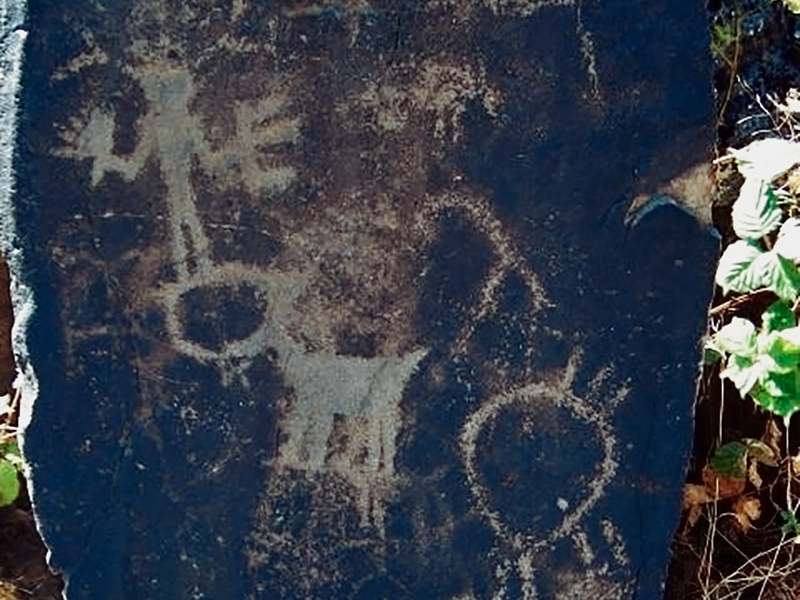 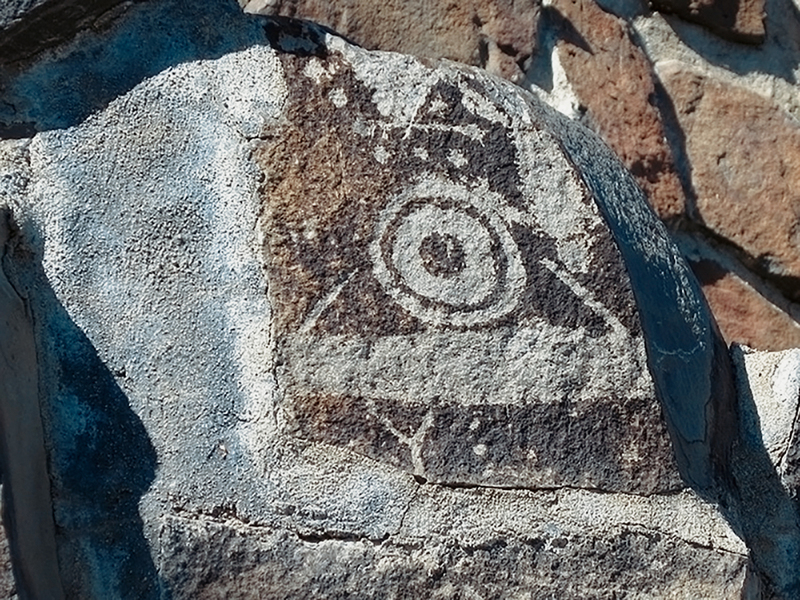 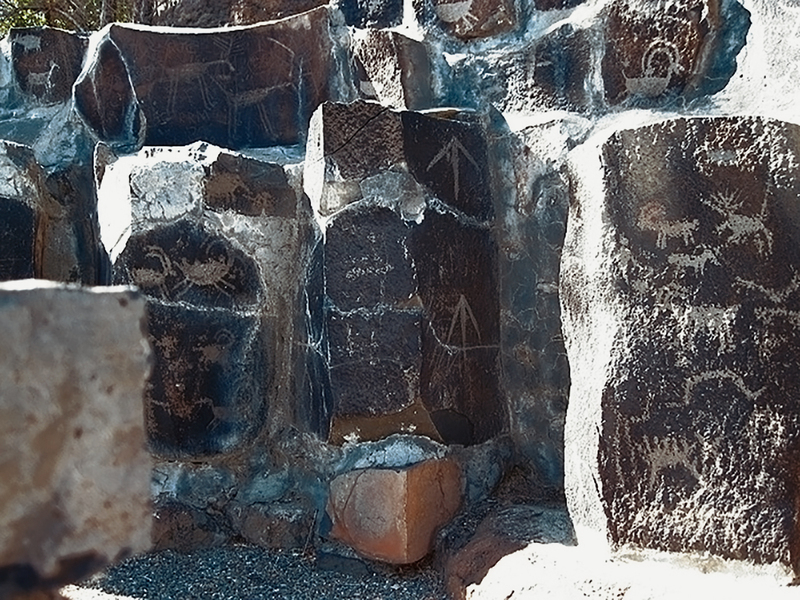 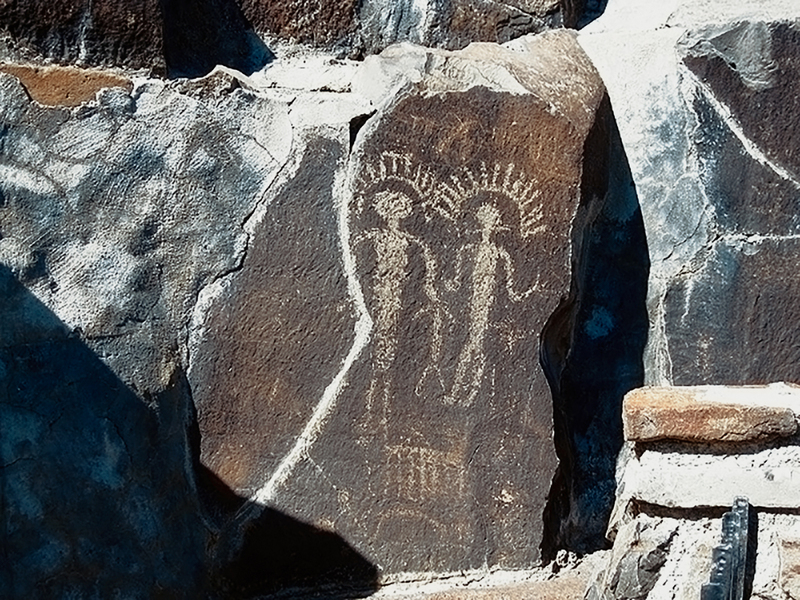 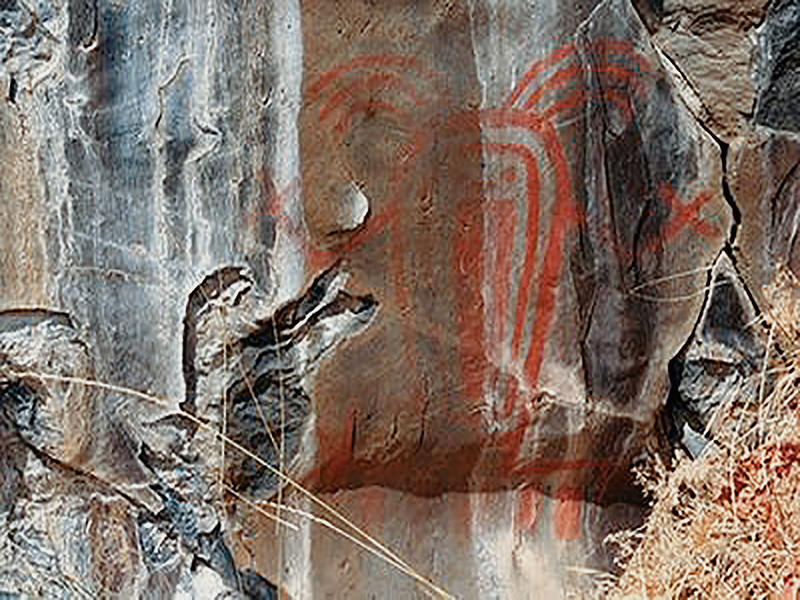 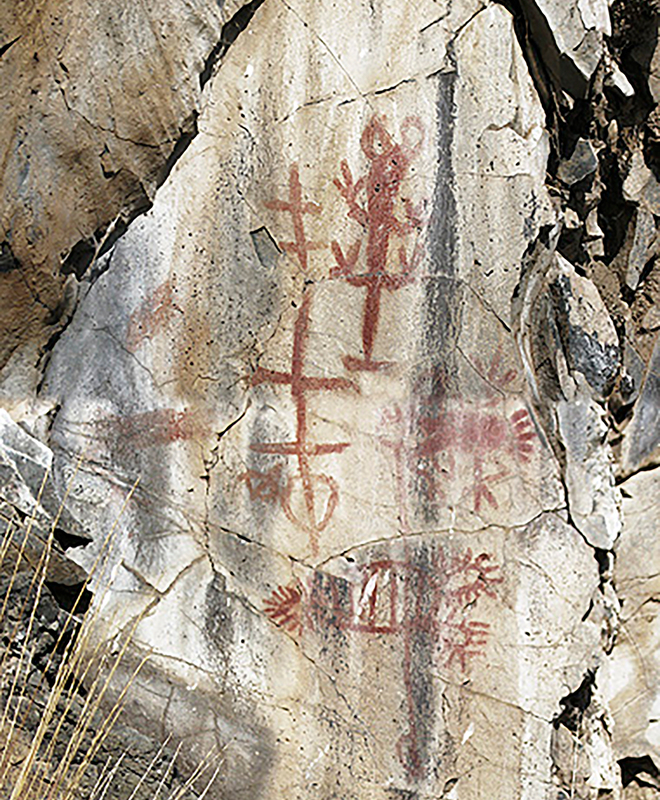 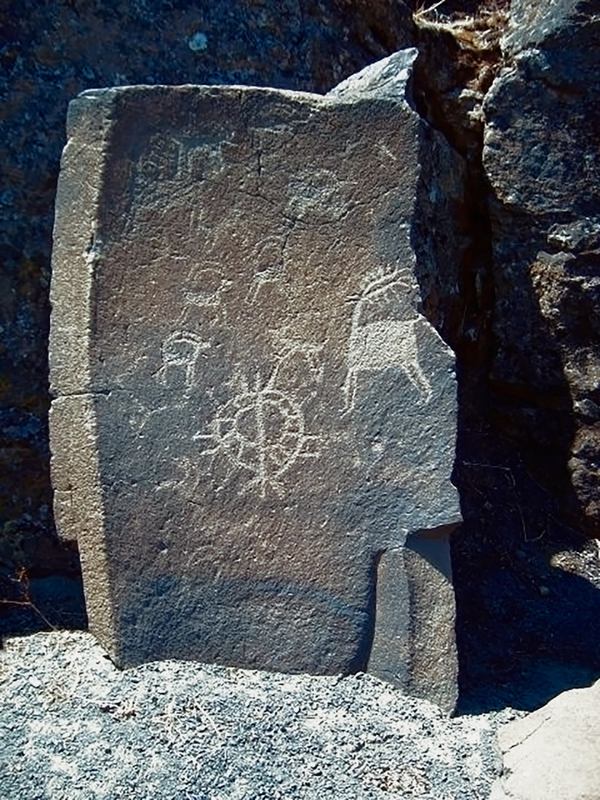 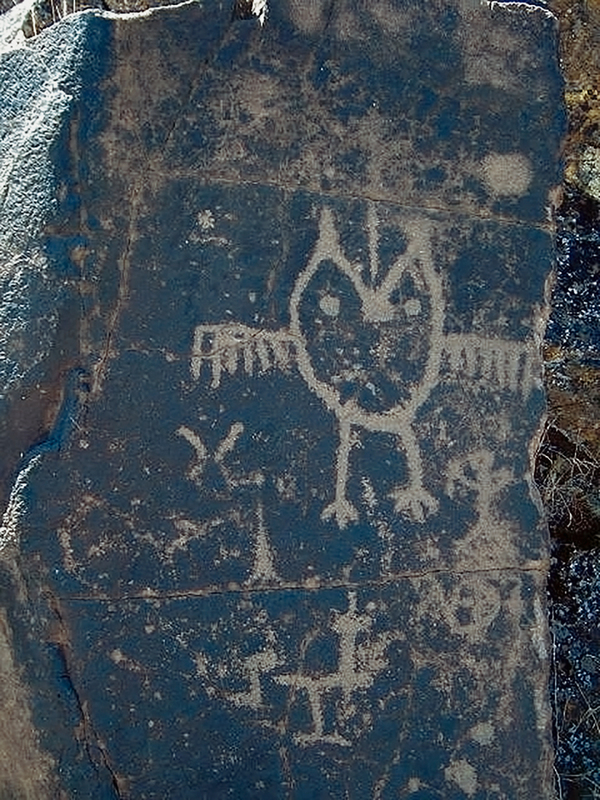 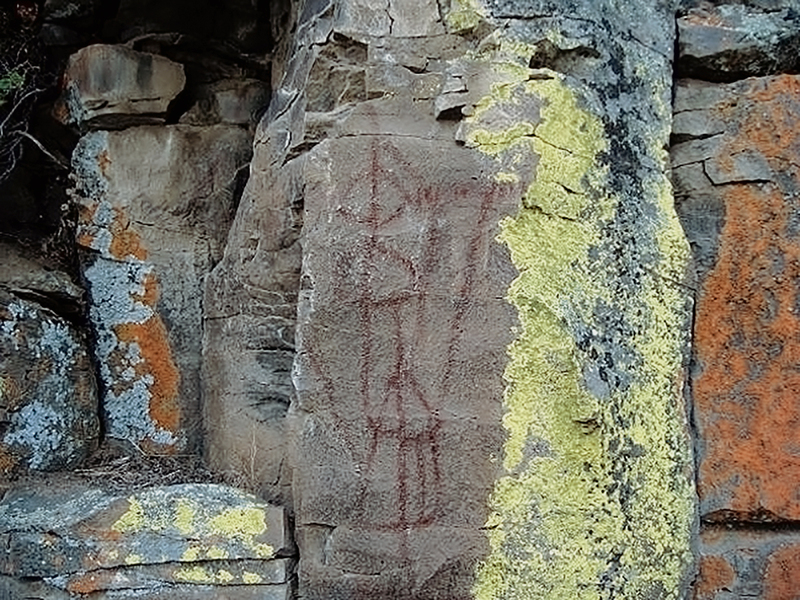 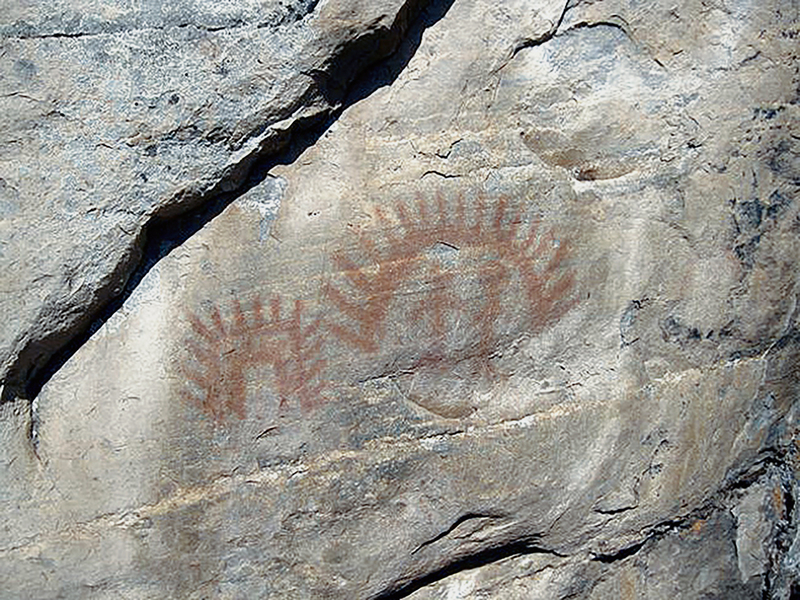 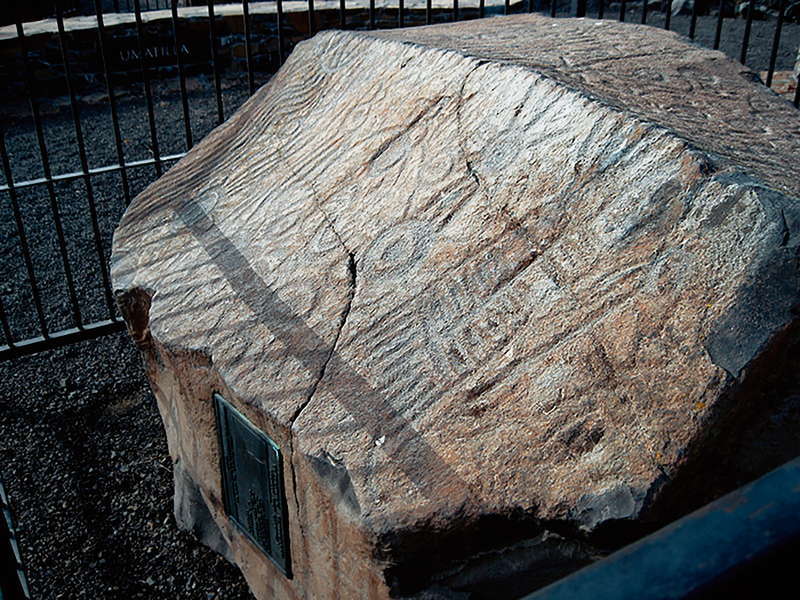 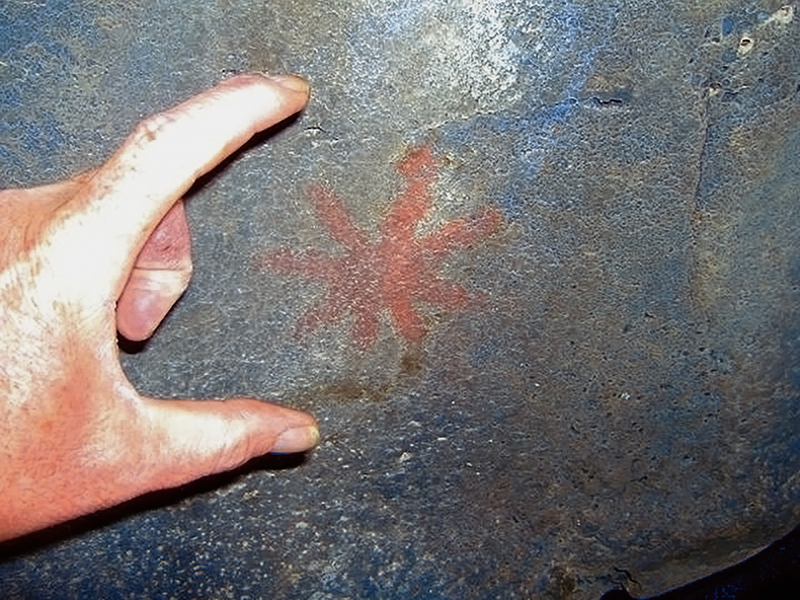 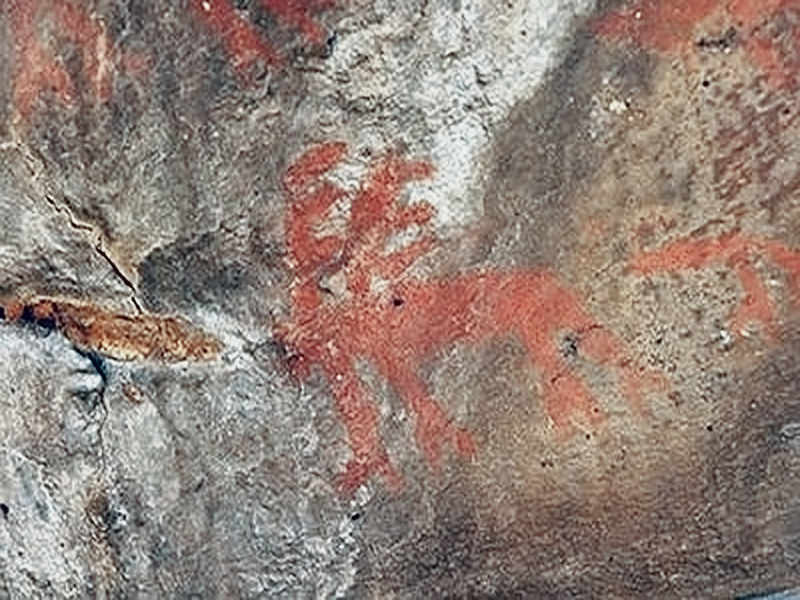 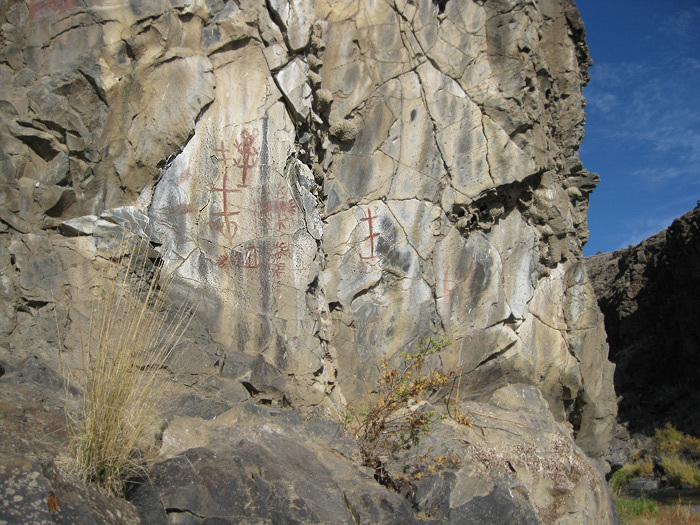 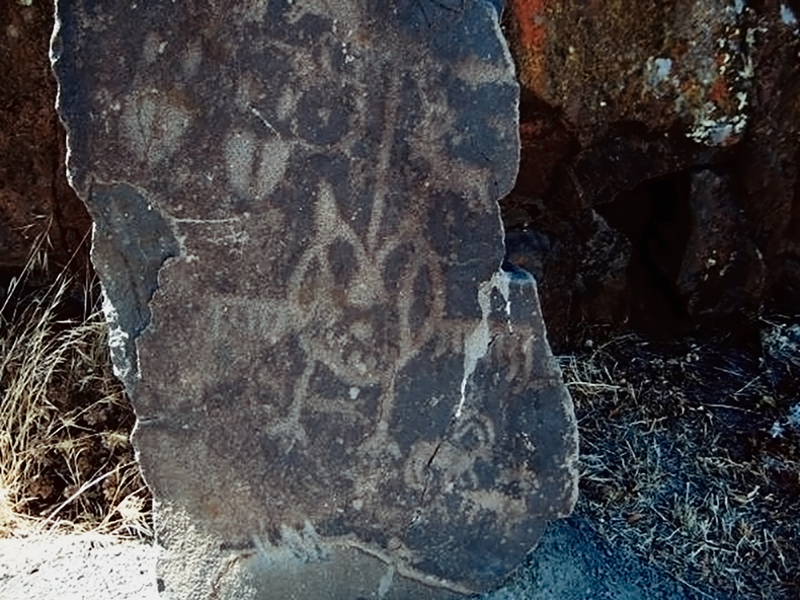 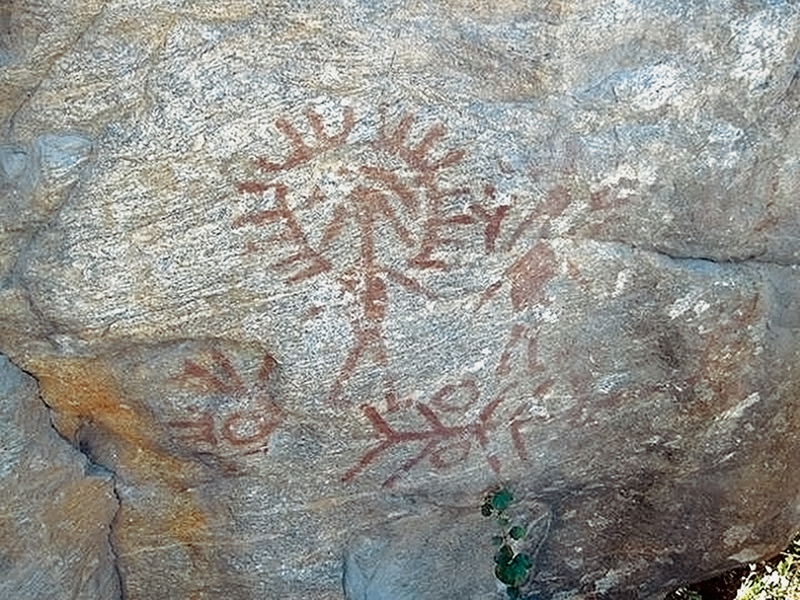 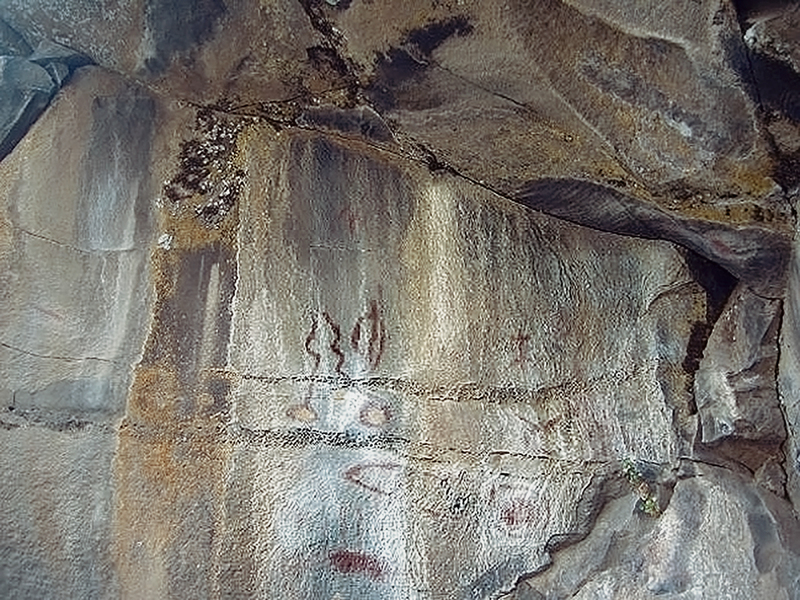 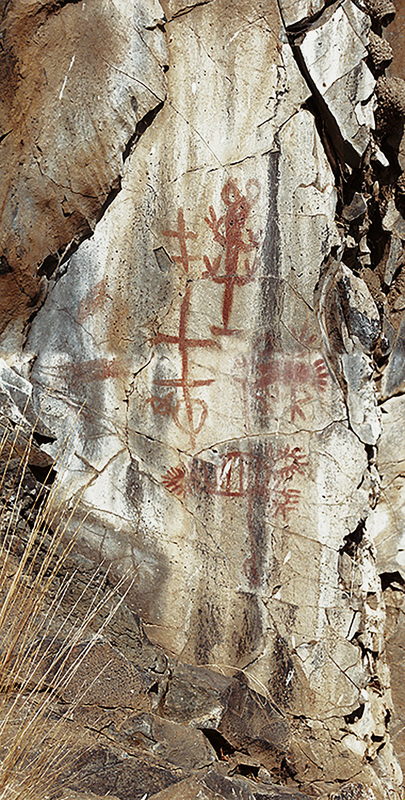 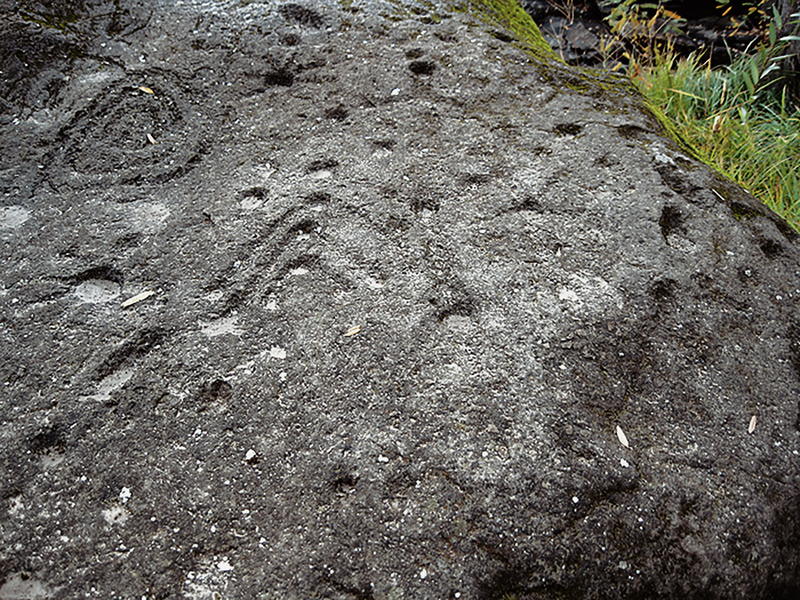 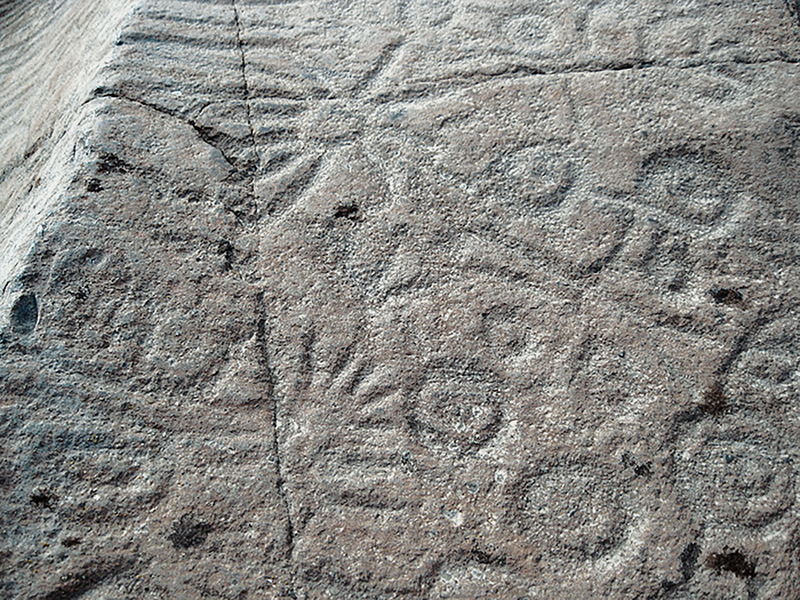 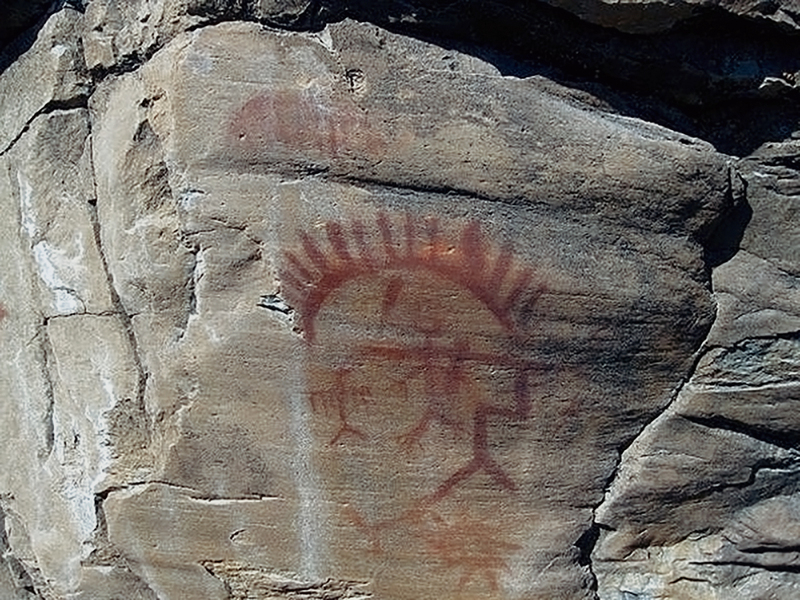 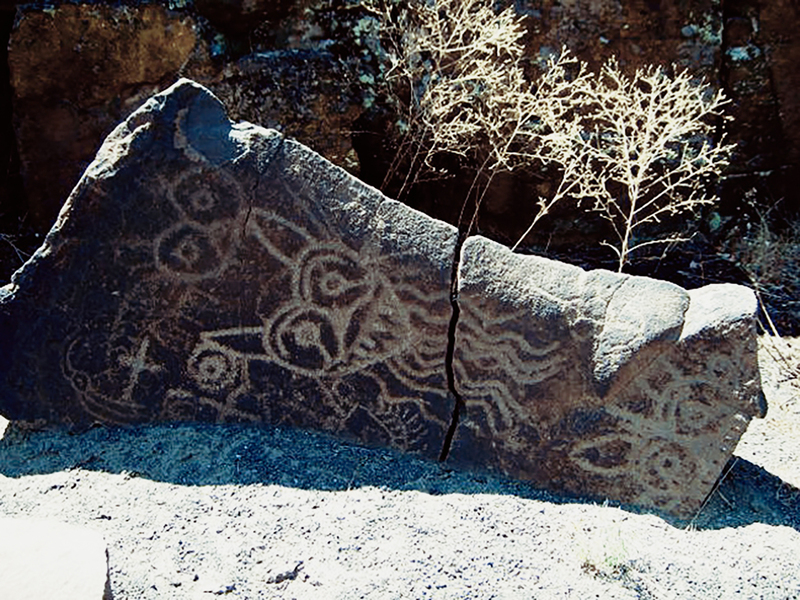 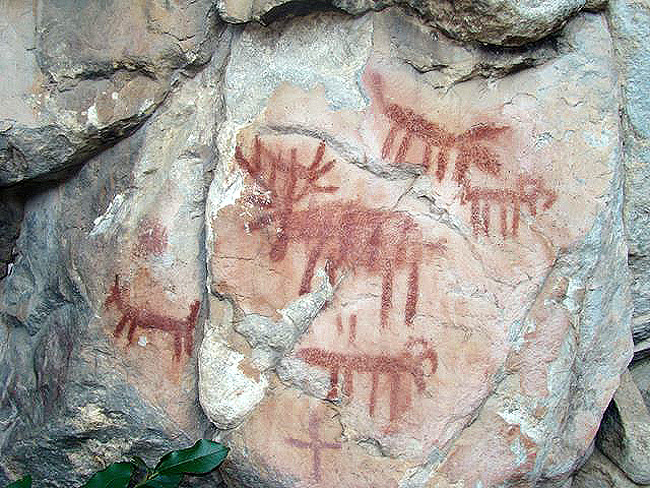 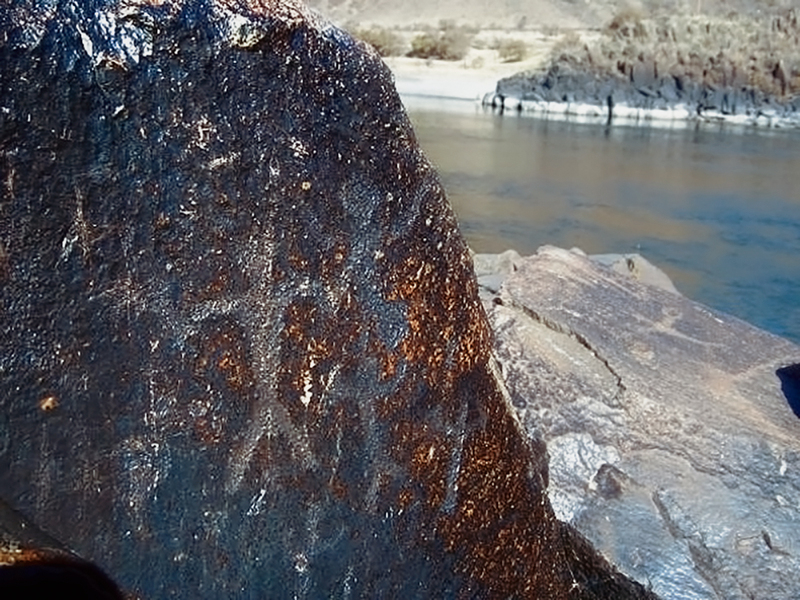 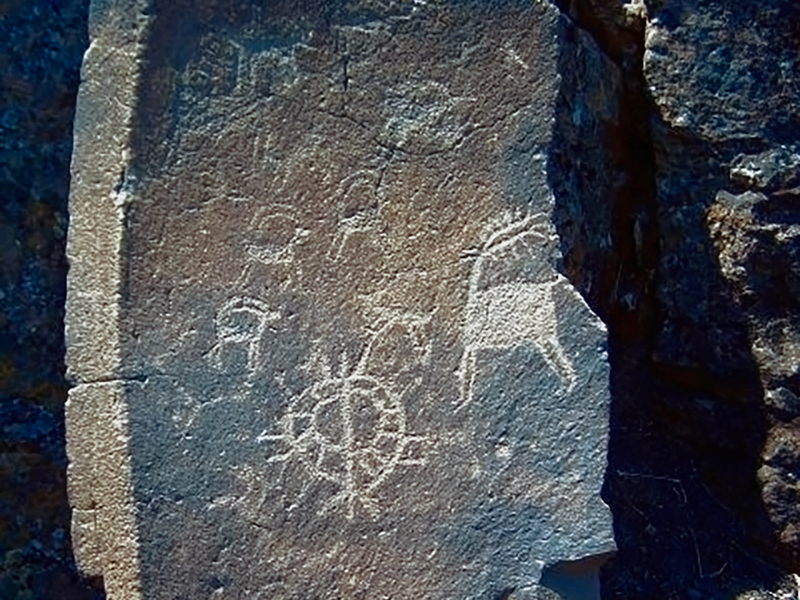 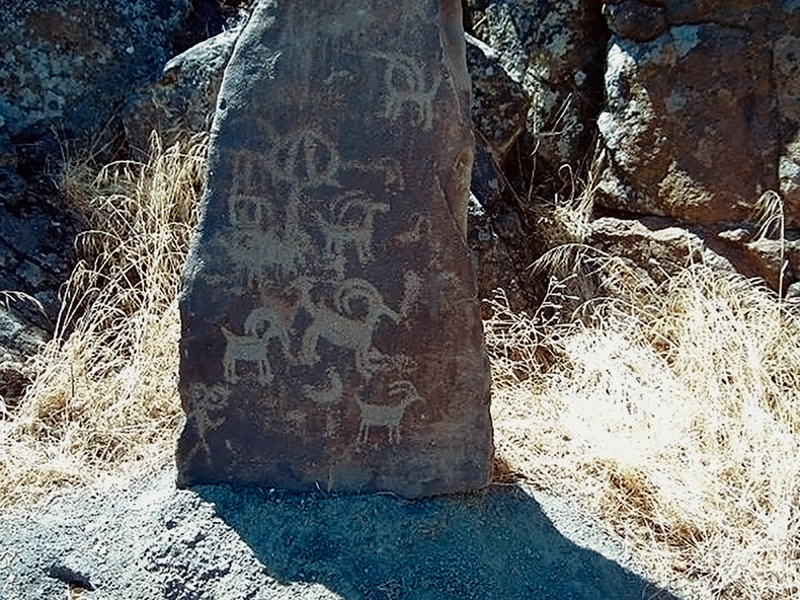 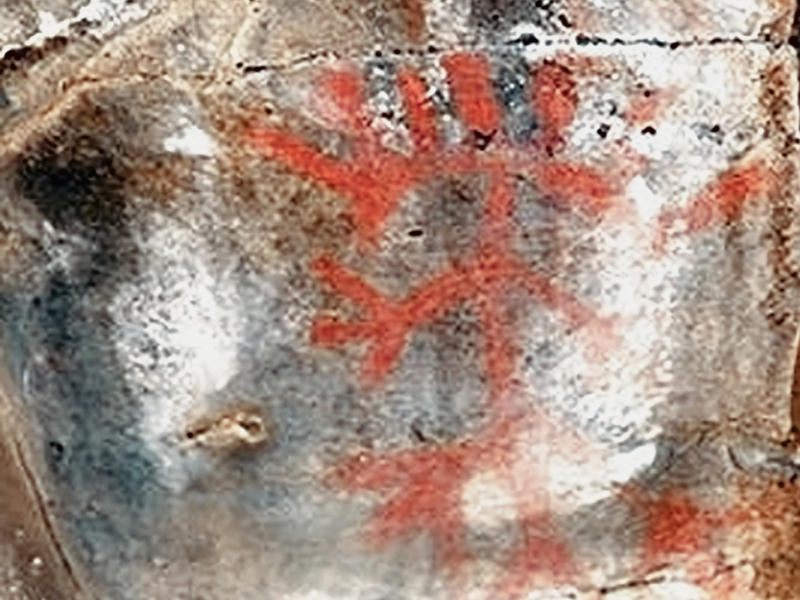 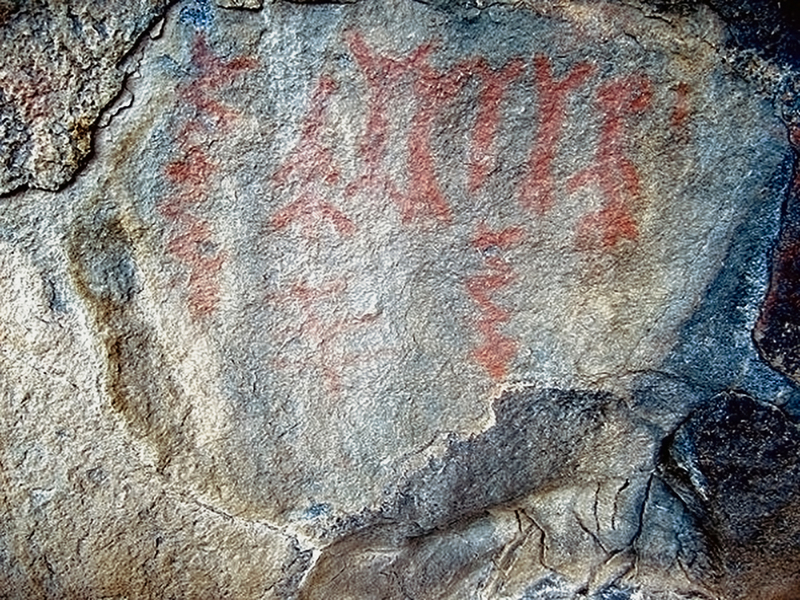 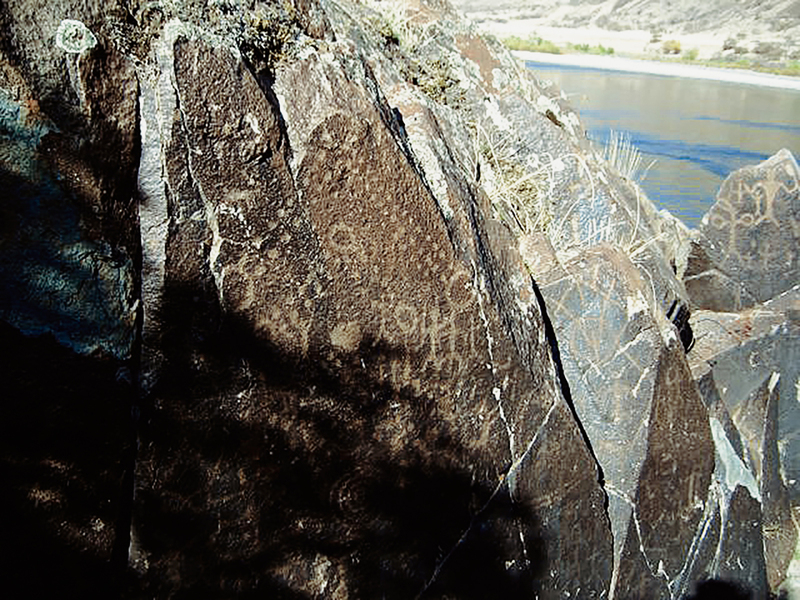 Both petroglyphs and pictographs are encountered, occasionally images produced by both methods are present at the same site. 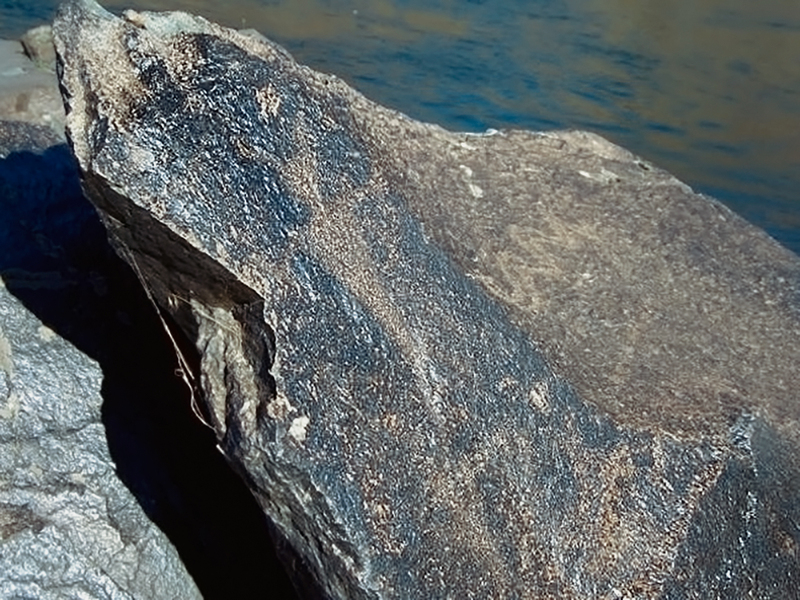 The insertion of hydroelectric dams in the drainage has raised water levels in many areas obscuring many sites beneath the elevated water levels. 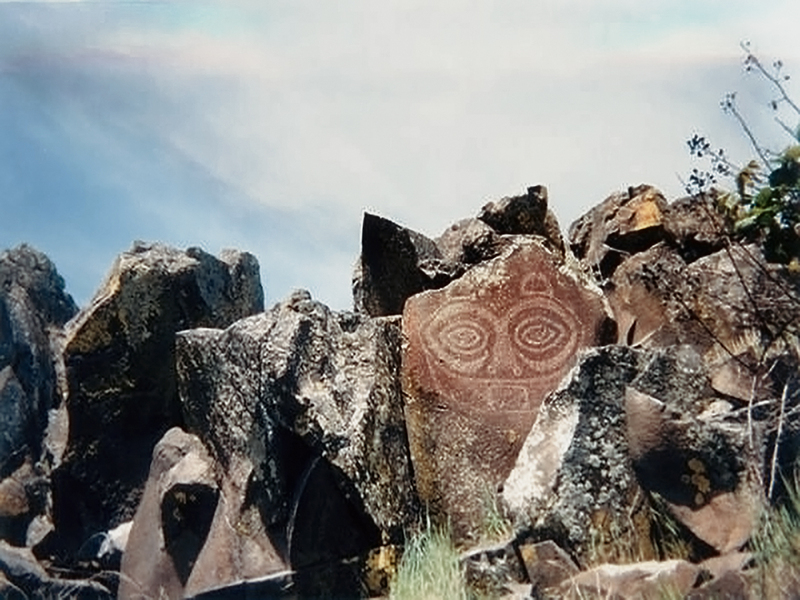 Fortunately many of these now invisible sites were recorded by concerned avocational archaeologists such as Malcolm and Louise Loring; small portions of others were removed prior to inundation and placed in protective locations such as museums, state parks and interpretive centers at the dams. 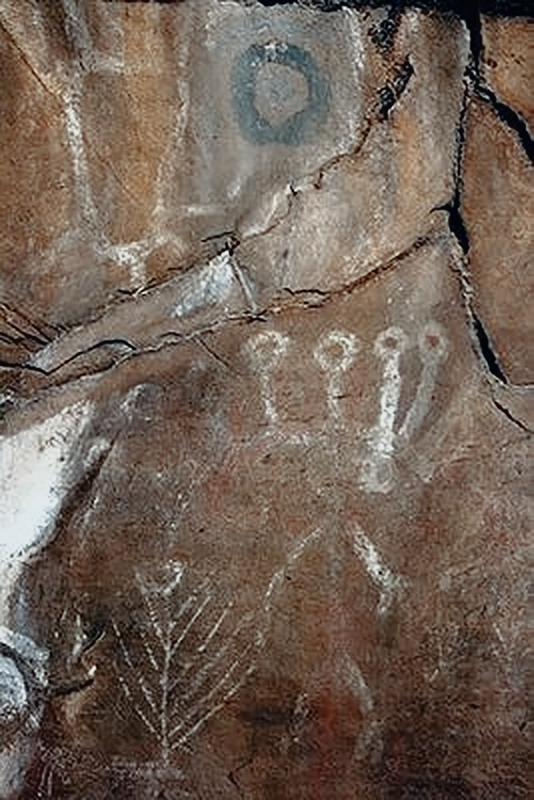 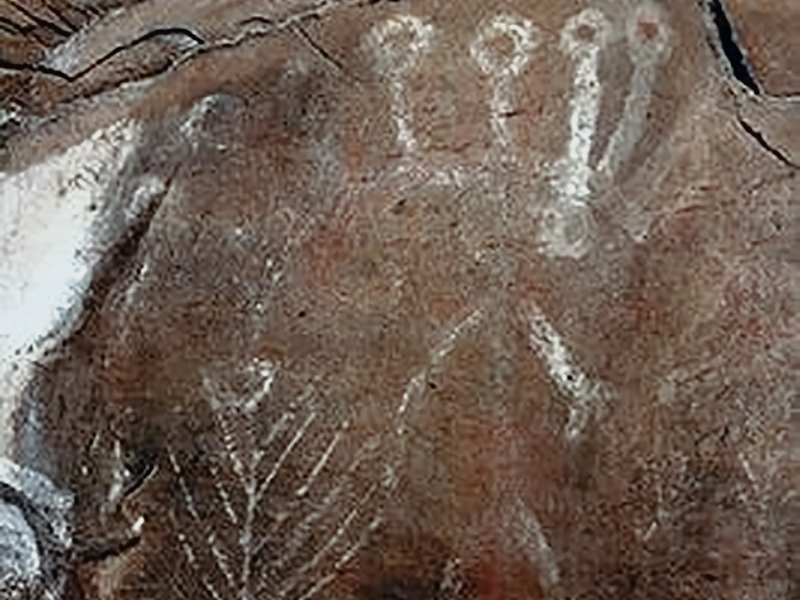 Previously unreported sites are constantly coming to light to diligent researchers, although with the huge amount of wilderness areas and private land holdings, it will be long before the inventory of rock art sites approaches completeness.